The Syn is the shape of choice for the "It Girls" team and is proven on tour, cables & sliders. The Syn carries awesome speed into the wake and has all the pop you need. With a variable edge design which rolls from soft between your feet to a sharp cupped rail tip and tail, this board is as quick and responsive as they come. 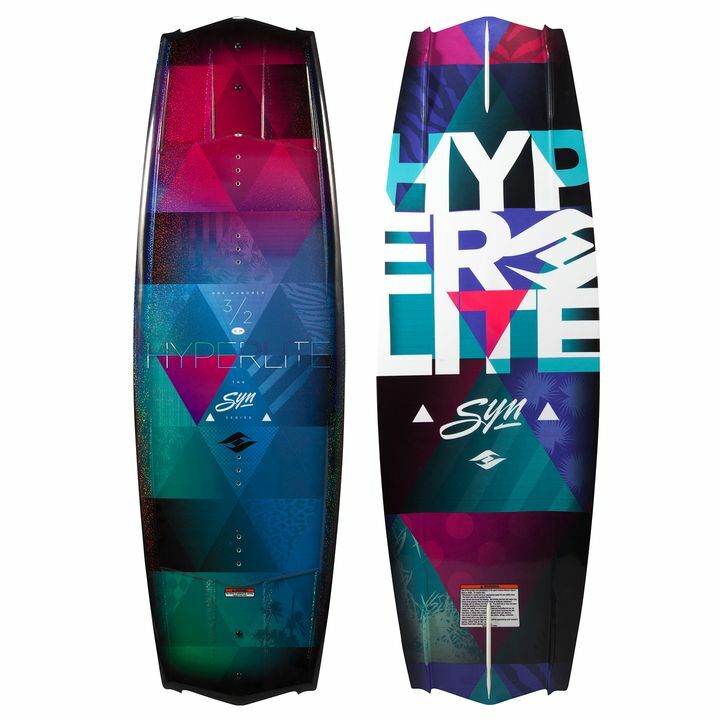 A new feature that strays from traditional Hyperlite shapes however is the Syn's shorter curved molded in fins. Ending almost two inches from the tip and tail of the board, it's just enough fin to know i's there and working but nothing to delay release off the wake.